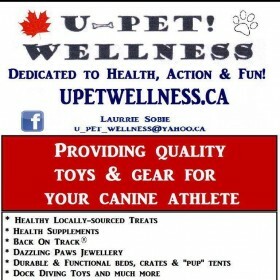 U-Pet Wellness is pleased to now be an authorized retailer of K9 Choice Raw Foods, an Alberta-Based company! We Initially launched K-9 Choice Foods off with only the packaging our Chicken and Beef raw pet food recipes, but it soon grew into the 50+ product menu we have today due to the overwhelming response and support received from our beloved friends and customers.Adding Buffalo and Llama ensures K-9 Choice Foods can offer you a variety of meat sources, enabling us to accommodate the dietary needs of your dog regardless of his or her age and energy level. A variety in the diet is key to maintaining a happy and healthy dog. If you feed your dog a good variety of food you are making sure that your dog gets all the vitamins and minerals that he or she needs. We now offer formulas in all meat sources supplemented with select fruits, vegetables and minerals, AND in meat and bone only recipes for the do-it-yourselfer or anyone who may unfortunately have a pet suffering from allergies. The specific requirements of you and your dog will depend on which variation will work best for you. 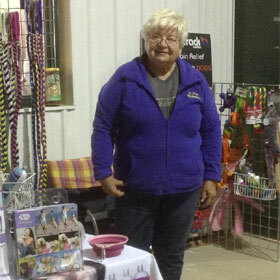 All ofour products come in different sizes to satisfy customers with the smallest to the largest of breeds.. We feel confident that your pet is getting a complete, well balanced meal when fed K-9 Choice food. Your pet is getting nothing but the best of ingredients, we wouldn't have it any other way. K-9 Choice dog food is quite simply about feeding your canine correctly… the way Mother Nature intended. NO by-products, no fillers and no preservatives are used; this means there are absolutely no grains in our products, no alfalfa and no pumpkin. With K-9 Choice foods all you are getting is the nutrition that a dog needs, we WILL NOT cut corners by adding fillers of any type!! All products are prepared and flash frozen immediately in small batches to ensure safety and freshness. 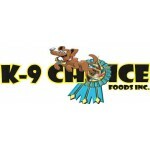 At K-9 Choice we take pride in producing a quality, all natural, lean, wholesome meat source for your dog. Our beef, bison and llama products only contain the same cuts of meat that we would eat. Our chicken products contain whole chickens, including both meat and bones. These products are then mixed with offal (liver, heart and kidneys) and with or without vegetables containing a variety of vitamins and minerals, triple ground (to avoid any large or sharp bone fragments and then packaged into a variety of sizes to accommodate you and your size of dog or dogs. We use a variety of vegetables to ensure that your pet is getting the vitamins he needs. Depending on the season will depend on what is readily available for us to use. The mix of the vegetables that we use may contain the following carrots, romaine lettuce, spinach, broccoli, and celery. The fruits we use are apples and pears. Carrots are a great source of beta-carotene, a powerful immune boosting, antioxidant. High in vitamin A, B complex, C, D ,E, and K and many minerals such as calcium, copper, iron, and magnesium. Carrots contain a high-soluble fibre, which depresses that blood cholesterol and promotes regularity. Romaine lettuce is a great source of the B vitamin folate, high source of vitamin A as well as zinc, vitamins C & D.
Spinach is also an antioxidant. It contains numerous vitamins such as vitamin A, B6, & C; mineral such as calcium, potassium, magnesium, iron, sulfur, thiamine and beta carotene. It also has a higher percentage of protein than most vegetables. Spinach is also a rich source of fibre and folic acid. The nutrients in spinach can also help with conditions in which inflammation is an issue such as arthritis. Broccoli is abundant in beta-carotene, Vitamin C, lutein and several minerals. Broccoli is rich in fibre and helps boost the immune system by being full of antioxidants. Celery is a traditional Vietnamese remedy for high blood pressure. The compounds in celery reduce blood pressure in animals. Celery also has a mild diuretic effect. This fibre rich vegetable contains eight different anti-cancer compounds. Apples are full of vitamins, minerals and fibre. Vitamins A & C, calcium, phosphorus, iron, sodium, and potassium. We use everything but the core in our food because most of the fibre and vitamins are just under the apple skin. The fruit sugar found in apples is a great source of energy. Pears are a natural, quick source of energy due largely to high amounts of fructose, glucose and carbohydrates. Pears contain vitamin C, potassium and lots of dietary fibre. Potassium is important electrolyte needed for proper heart, nerve and muscle function. Vitamin C is an essential antioxidant for normal metabolism and tissue repair, and helps prevent free radical.As well, vitamin C promotes healing of cuts and bruises and helps guard against a number of infectious diseases. The supplements that we add to the vegetable and fruit mix are parsley, and garlic. Parsley is an excellent source of vitamin A and several B vitamins, calcium, iron and more vitamin C than an orange. It is also believed to aid in general digestive problems as well. Vitamin C is a very important vitamin as we all know. It is an anti-stress vitamin, and can not be overdosed on. Any excess amount will come out in the urine or feces. Garlic is well known to strengthen the immune system. It is also an anticarcinogen in both the prevention and treatment of cancer. It is unknown specifically how garlic protects and/ or fights cancer but is thought to block formation of cancer causing compounds. Which would then stop their ability to form tumors or even inhibit the growth of tumors. *** Remember that every dog has his or her own individual needs. This will help you in deciding which of our products will be the best choice for your companion. We highly recommend consulting with your veterinarian about which product will best suit your dog to make him happier and healthier. Keep in mind that a variety of protein sources are very crucial when feeding the raw diet.